Stockholm is pretty awesome during the summer. You should come and visit. 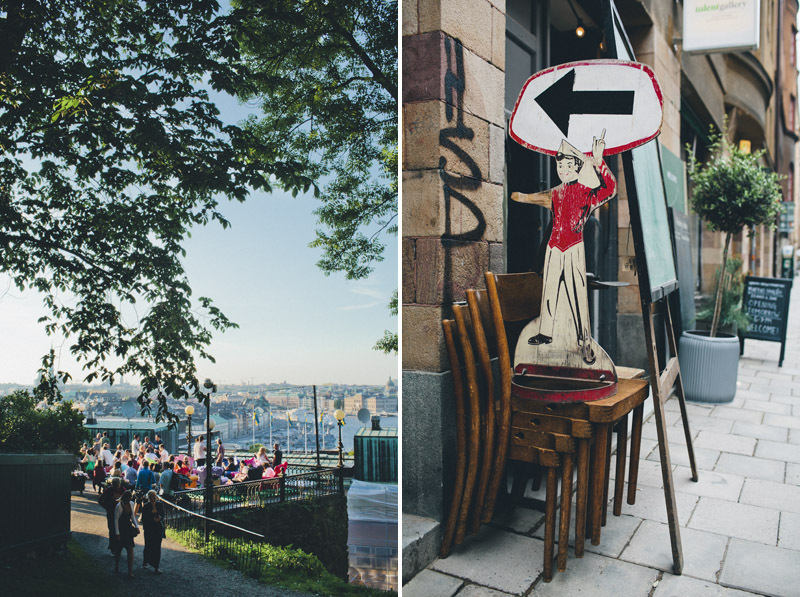 To convince you, we have created this very personal guide to our favorite places in the city. 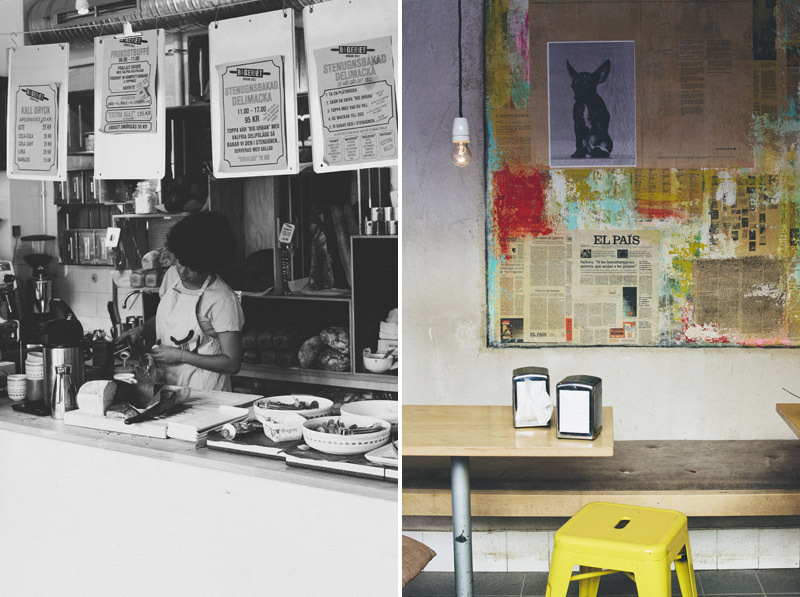 You’ll find some good breakfast cafes, restaurants, health food stores and other gems. It is not a full Stockholm guide. 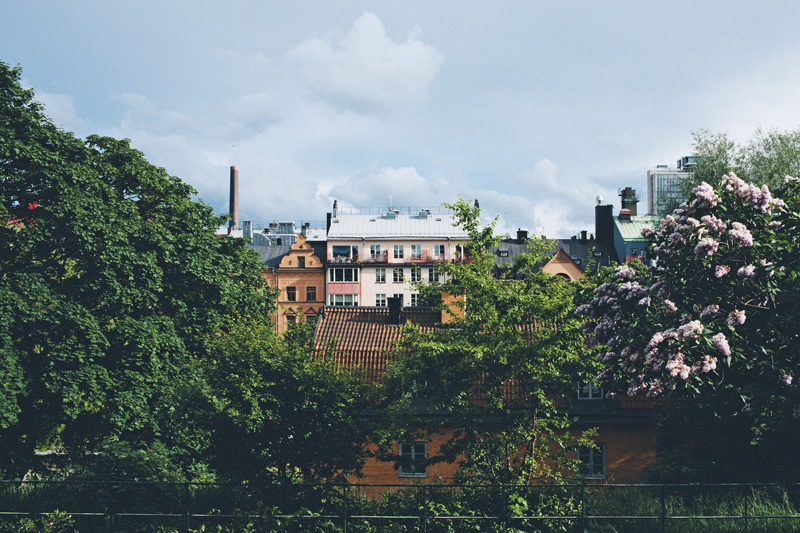 Instead we have focused on the part of the city where we live – Södermalm. It is the most charming area filled with small cafes, independent shops and vintage stores. Pom & Flora. Bondegatan 64 & Odengatan 39. Our favourite morning cafe! A sweet little french-inspired cafe just next to the park Vitakbergsparken and also in Vasastan. Go there for breakfast all day. We love the avocado and chermoula on rye, chia pudding and smoothie bowls and toasted sourdough with banana and tahini. Also the friendliest staff in town! New! Cafe Pascal +Bakery. Skånegatan 76 (Södermalm) and Norrtullsgatan 4 (Odenplan). One of our favorite cafes has recently also started their own bakery. Great coffee, beautiful cakes, buns, croissants and sandwiches. They also serve an amazing burrata salad that shouldn’t be missed! New! Omayma. Skånegatan 92, close to Nytorget park. A new favourite of ours. Healthy breakfast, great coffee or turmeric latte, a handful of different lunch options. Try their housemade buckwheat wraps or sallads. Vegan friendly too. StikkiNikki. Götgatan 46. Not a cafe but an all organic gelato (ice cream) bar. Freshly made in store every day and lots of vegan options (they also have a store at Mariatorget with only vegan options). They come up with lots of fun and interesting flavours and names. Don’t miss this on a sunny day. Drop coffee. Wollmar Yxkullsgatan 10. Super fancy and amazing coffee and homemade fresh ginger root tea. The prices are high though. Kaffe. Sankt Paulsgatan 17. A bit more old-school coffee place. Cash only. They serve a great freshly squeezed orange juice. Johan & Nyström. Swedenborgsgatan 7. Fairtrade and quality tea and coffee. They serve a simple breakfast sandwich on weekdays. They offer coffee and tea courses in this concept store. Kafferang. Skånegatan 81. Beautiful decor and good food. Don’t miss their acai bowl, coffee and mashed pumpkin on sourdough bruschetta. Mosebacke shoe-box café. Mosebacke torg. A mini cafe with old-town feeling. Sun and trees and right next to Mosebacke which has a great view over Stockholm. Grab a foldable chair and sit anywhere you want. We have spent many hours here when writing the manuscripts for our books. Götgatan 24. Best stone oven bakery and café on Södermalm, try their dark rye bread or a sourdough cardamom bun – dangerously delicious. There are many different Fabrique bakeries all over Stockholm. Matapoteket. Bondegatan 6. A small organic raw food cafe with raw soup, pizza, smoothies and very tasty raw truffles and desserts. Try their golden turmeric latte too. Robin Delselius Bageri. Renstiernas gata 19. High quality bakery, opens 7 in the morning, great coffee and handmade Swedish fika bread and cakes. The have very delicious lunch too, soup, sandwiches and sallads. The interior is beautifully chosen and makes for a nice atmosphere. Brandstationen. Hornsgatan 64. Our favourite kitchy vintage furniture store. They have many nice chairs, tables, side boards, posters, jewellery and quirky stuff. Well worth stopping by if you are close to Mariatorget. Christoffers Blommor. Södermannagatan 21. You are probably not looking to buy flowers if you are here on holiday. But this little flower shop is really pretty so you might want to stop by anyway. Manos. Small design & art store owned by a talented ceramicist. Definitively a must visit! New! Erika Petersdotter Keramik. Sankt Paulsgatan 11. The workshop and store of another favorite ceramicist. She has made some of the bowls and plates in our photos. Grandpa. Fridhemsgatan 43. Nice and personal selection of clothes. Lots of Swedish brands. Granit. A fun minimalistic interior and kitchen store with lots of smart containers, jars, bottles, black boards and frames. Perfect if you are into food prep and want to find some stackable glass containers. Bondens egen marknad. Bondegatan. 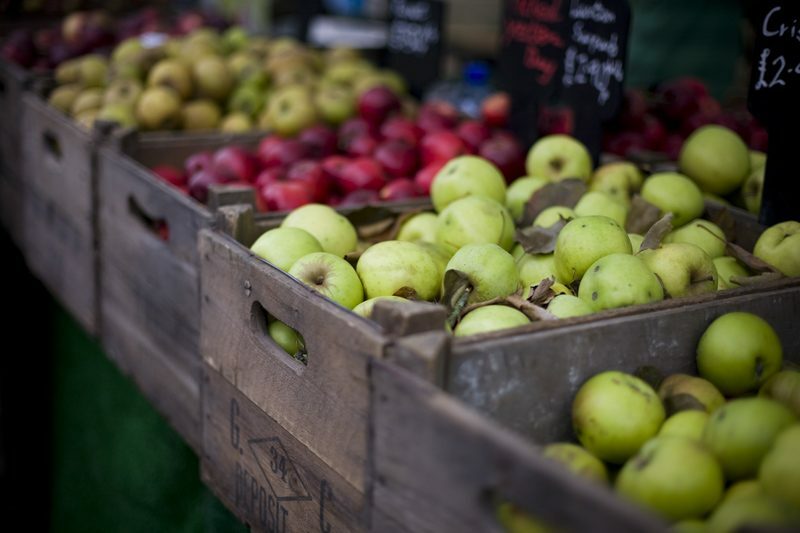 A lovely organic farmer’s market open all Saturdays from 10 am in May, August, September, October and December. Try the grilled corn stand, the sauerkraut table and buy some massive kale bouquets. 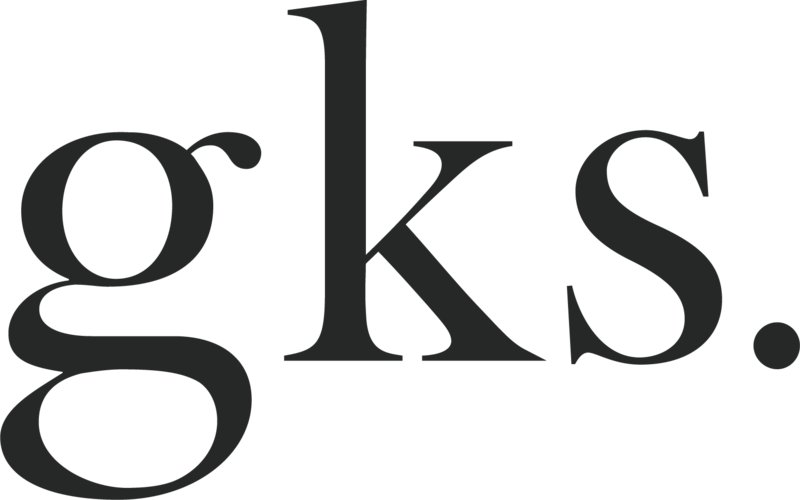 Fotografiska. Stadsgårdshamnen 22. Beautiful museum of photography. 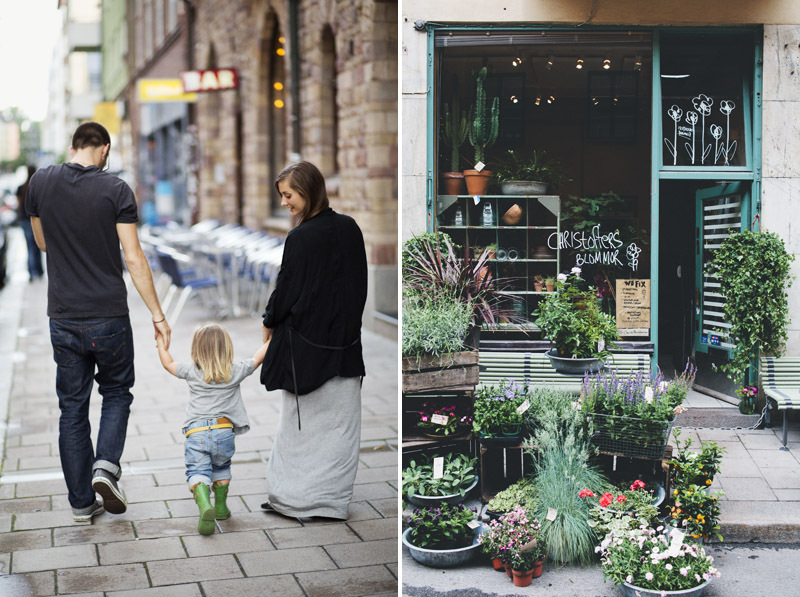 The amazing restaurant and cafe serves organic, natural and local food, cooked by some of the best chefs in Stockholm. The view is spectacular too! Moderna Museet Collection. On the tiny island Skeppsholmen, (take a boat from Södermalm). Amazing exhibitions in a beautiful environment. ReOrient / Vegetar. Nytorgsgatan 25. Lovely ethnic deli food shop. Cheap. We go here to buy vegetables, fruit and herbs. Try their vegetarian (& gluten free) meze take-away lunch boxes. David, Elsa & Isac also loves their Börek! Paradiset. Brännkyrkagatan 62-64. This is not just a health food store, but a huge organic supermarket and food court. They recently opened and it looks really promising. 80% of all the products in the store are organic. Lots of fun local products as well. Åsögatan 116 & Hornsgatan 176. Luise’s favorite vegan food store. It’s like a mini supermarket for vegetarians. They have a wide arrange of products and the staff is always nice. They recently opened a small cafe and take-away bar at the Åsögatan store.
. Folkungagatan 68. The best health food store! Organic & biodynamic products and dietary supplement. They even sell great lunch boxes, snacks and special kitchen equipment. Renstiernas gata 20 or St:Eriksplan (Vasastan). Large whole food supermarket. In both stores they have a delicious lunch take away buffet. Very pricy. Mosebacke & Södra Teatern. Mosebacketorg 1. They often have nice concerts here. During the summer their outdoor bar is a really nice place to spend an afternoon. Amazing view (see the top image). Babylon. Björns Trädgårdsgränd 4. Small bar right off Medborgarplatsen with a nice ambiance. New! Teatern. Award winning chef’s food court located in the mall Ringen at Skanstull metro station. The food court is built like a theatre scene. Try the vegan restaurant The Plant, burgers, sallads and oven pancake are all on the menu. Or Nú, a modern Japanese place. New! Ai Ramen. Award-winning ramen place that make their own noodles and serve a great vegetarian bowl. Not to be missed if you are into ramen and kimchi. Wood Stockholm. Mosebacke torg 9. Very beautiful fine dining restaurant with local produced food, focused around vegetable. Might be difficult find a table. Book in a advance. Kalf & Hansen. Mariatorget 2. 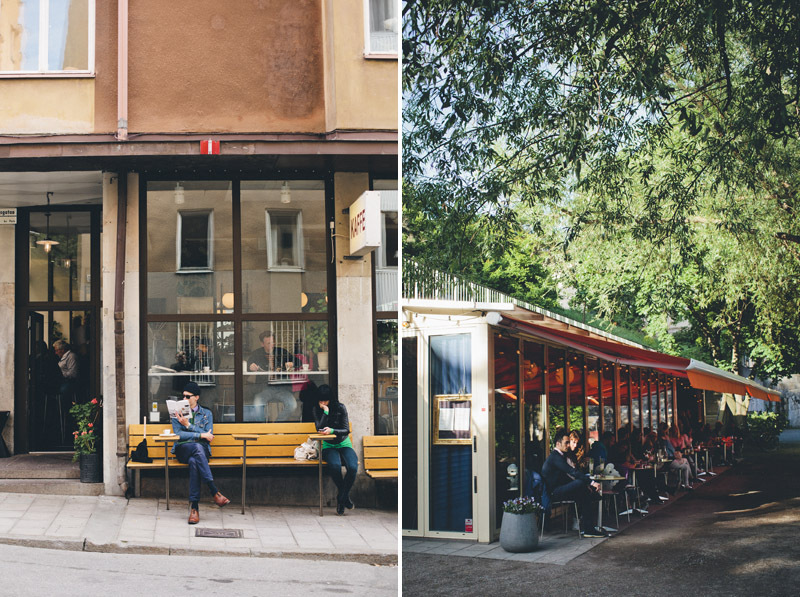 This little corner restaurant title their food as Nordic organic fast-food. It’s fast alright but far from fast-food. Their dishes are flavourful and cooked with a lot of love. Not all vegetarian but lots of vegetarian options. Try the Stockholm dish with vegetarian meatballs and roasted vegetables. It’s a tiny place so we ordering doing take-away and eating in the Mariatorget park, right across the street. Reggev Hummus. We love Israeli food and this little restaurant has the best hummus and shakshuka in Stockholm. Served just like in Tel Aviv, with pickled vegetables and pitta bread on the side. Indian Garden. Heleneborgsgatan 15. We are crazy about Indian food. This is one of the best in Stockholm. Try their Vegetarian Balti. Shanti. Katarina Bangata 58. Another great Indian restaurant. Nytorget 4. Delicious whole food supermarket with lots of organic or local produce. Buy smoothies and lunch boxes and go to the park Nytorget to sit in the sun or visit the playground. We do occasional collaborations with them so lookout or ask if they have any Green Kitchen boxes in their stores if you visit. Falafelbaren. Hornsgatan 39. Best falafel place in town, handmade and freshly made everyday. Make sure to try their combo salad with a mix of spreads, falafels, börek and pickled vegetables. New! Falloumi. Ringvägen 127. Another good falafel (and halloumi) place with modern style falafel wraps and bowls. Chutney. Katarina Bangata 19. Vegetarian place that serves a couple of different stews and veggie patties. Very price worthy and you get free refill if you are hungry. Hermans. Fjällgatan 23b. 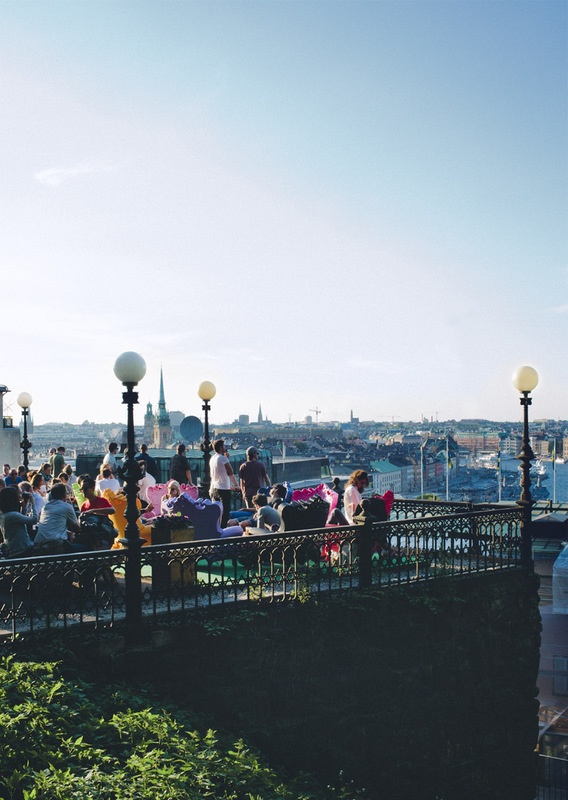 Vegetarian restaurant with the best view in Stockholm. During summer weekends they have bbq, which is much better than their buffet. The buffet is more expensive at weekends so try to go on weekday. New! /Mother. Master Samuelsgatan 19. Very innovative place. For breakfast, lunch, dinner, coffee, wine and late drinks. The food is creative and has a healthy twist. New! Rutabaga. Södra Blasieholmshamnen 6. The restaurant at fancy Grand Hotel was recently transformed into an entirely and modern, high-end vegetarian establishment by chef Mathias Dahlgren. If you are looking for some fancy vegetarian food, this is your place. New! Tak. Modern Nordic & Japanese restaurant with a spectacular view. Impressive cocktail bar as well. Snickarbacken 7. Snickarbacken 7. Combined concept store and cafe with tasty soups, sourdough sandwiches and smoothies. Yuc Mexican. Norrtullsgatan 15. Delicious new style mexican food and cocktails with a great atmosphere. Djurgården, Bellmansro + 5 minutes walk to the garden. You must visit this garden if your are in Stockholm during the summer. Pick your own flowers. Eat picnic under the apple trees. A while back we wrote a post about Rosendal here. Yogayama cafe. Jungfrugatan 8. Good health food cafe and yoga studio with lots of different options, everything from ayurvedic thali to raw food and vegan soups. Gamla Orangeriet. Viet Wittrocksväg 7, Norra Djurgården. 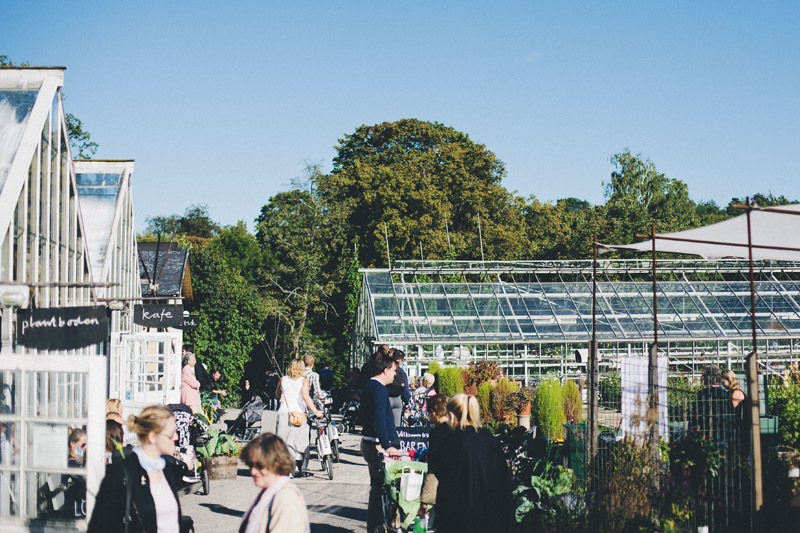 A metro ride and a short buss ride and you are just aside Stockholm at a beautiful nursery and green house. The restaurant is truly beautiful and the surroundings are amazing. The food is organic and tastes amazing. Ulriksdals Trädgårdscafe. A bit outside of central Stockholm is the Ulriksdal Royal Gardens and they serve a vegetarian lunch buffet in their cafe. NK Regeringsgatan 40 or PUB Hötorget Drottninggatan 63 (there are 3 more stores in Stockholm). 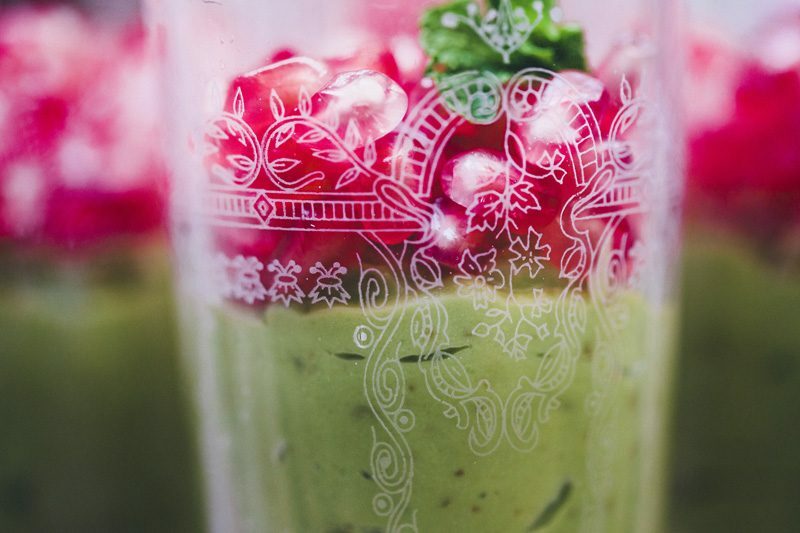 Known for their Wrap-kit and their exceptionally good & healthy smoothie bar. They also sell super foods, dietary supplements and their own product line Blueberry. Eco-baren – Centralbadet. Drottningegatan 88. One of Stockholm’s few cafés/restaurants with a whole raw food menu. It is placed in Centralbadet, an old historic spa and gym in the heart of Stockholm, but is open for only-eating guest as well. Go on a sunny day and sit in the garden. New! Pepstop. Riddargatan 3a & Slöjdgatan 2. Vegan health food store, pure organic food. The store is beautifully styled and they sell their own product line. Pick up breakfast, lunch or dinner or cold-pressed juices. Hermitage. Stora Nygatan 11, Old town. Good vegetarian and vegan restaurant with some dairy and gluten free alternatives.
. Eriksbergsgatan 6. Luxury french café. French quality coffee and Stockholm’s largest cinnamon buns. They also serve a very delicious and traditionally brunch. Try their sister Café Ecoïste in Mood Gallerian (city) which also has an outdoor terrace. Vasaparken. Dalagatan 11. One of the best playgrounds and parks in Stockholm. 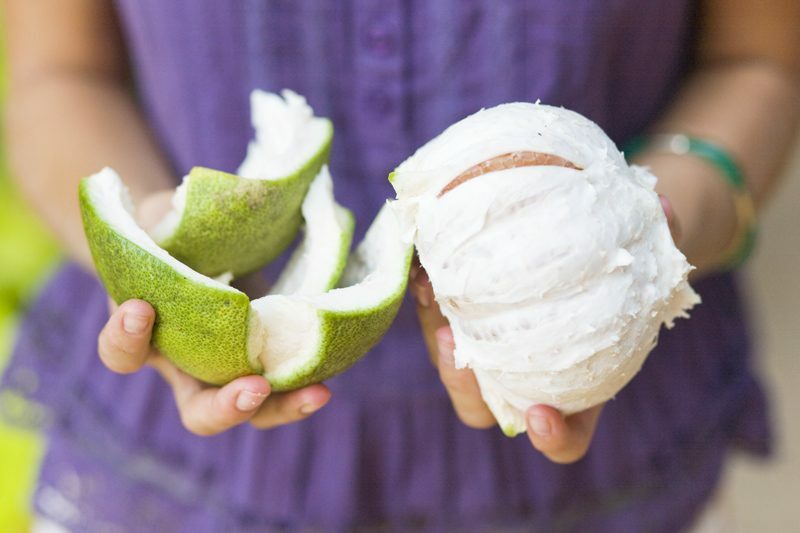 So much fun stuff for kids and families to do. Hötorget. Lovely underground food market, smack in the middle of central Stockholm with specialties from all over the world. Lots of Middle Eastern food. This is where we buy nuts, beans and dried fruit in large packages. Buy many different small dishes and go upstairs and sit on the square and listen to the atmosphere while you enjoy lunch. During Sundays they also have a big flea market on the square. I'm always thrilled when the next post comes into my mailbox from you! I love the recipes and the photography! I am heading to Sweden this summer to visit family in Gothenburg and southern Sweden so your latest posts on both are perfect! Unfortunately we decided not to go to Stockholm given time restraint but now I'm regretting that decision seeing your personal guide. Oh well, we'll just have to go back. Thanks for sharing your top spots! I have two boys 6 and 7 so if there are any special places you'd recommend for them in Southern Sweden, I'd love your thoughts. Taking them to Legoland in Denmark before Sweden as a surprise which will be a big hit I think. I've been thinking about a trip this summer and Stockholm is one of the chief contenders. You may have just decided for me with this beautiful list! Thank you! Lovely photography as usual and would love to go. I think Pom & Flora would be my pick this morning. Thanks for taking me there - even if it a virtual visit. Divine! thank you for sharing.. I'm utterly tempted. 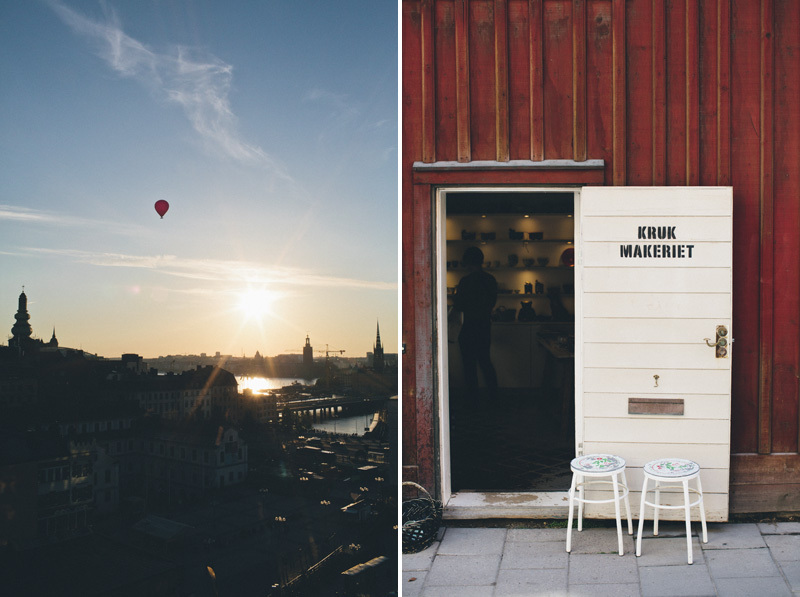 Stockholm in Summer is now high on my travel agenda for my trip in a few years time. Be well!! Vilken bra timing!! Jag (från Vancouver) och min man (Stockholmare) åker hem på besök om några veckor. Tack för att du visade mitt andra hem! Förresten, har du några förslag på fina bagerier? Jag kommer ihåg en i Östermalm med en sån fantastisk mandelkrans. Still dream about it! Dit ska jag, om jag hittar den igen!! I had some delicious vegan pie at Hermitage in Gamla Stan when I visited Stockholm. WOW, thank you such a lot for sharing all those amazing places! I am really, really looking forward to be in 'your town' this summer, especcially while reading this... Great. Thank you, again. Many many thanks! Å overbevise - det klarte dere. Jeg vil til Stockholm! Now I really want to come and visit! It's so green and colourful. Thank you for this peek into your neighbourhood. Ah I love this city! I've visited last summer and it was the best citytrip I ever made, everything was just so wonderful: the buildings, the water, the stores, the food (omg delicious!) en the vibe in general.. Really, I would love to move to Sweden when I finish university.. or at least visit Stockholm another million times.. I will for shure take this tips with me, thank you! ugh i am dying to come to Sweden!!!!!!!!!!!!!!!!!!!!!!!!! its my life dream to live there! but seeing that i'm 13 years old i will have to wait a while...i will go to collage their!!!!!! Nice!! :) I'm going to Denmark, (south) Sweden and (south) Norway this summer. And Stockholm is also in the planning. Thanks for the tips! Looks nice, I'm going to Göteborg in a month and would love it, if you guys have a list of things to do and see there. And also, can your book be bought in Sweden? Some other great places in Gothenburg: Leverk - ceramics, near Domkyrka (also nice to see) Röhsska Museet - design museum Paddan - great boat tour! Cafe Husaren - Biggest kanelbullar (cinnamon buns) you'll ever eat! located in Haga, which is the old town area. Great shopping and quaint streets Ombra - Italian restaurant - authentic - best pizza! Near Linnegatan Plantagegatan 11 World Culture Museum - great museum! Universium Liseberg - Amusement park! Jag måste tipsa om bästa juicestället!!! http://kallpressen.se nyöppnat! WHAT?! Låter ju underbar, måste strax testas:-) thanks!